When it seems that all is lost, and you have no hope, you need someone to look after your best interests - be careful - Misplaced Loyalty can prove fatal. Detective Patsy Hodge has left her old life behind to start a new job with Bristol CID. She attends a suspicious death with her new boss: straight talking, no nonsense, Detective Inspector John Meredith. Within days the body count begins to rise, as victims, old and new, are discovered to have died by lethal injection. Assisted suicide or euthanasia? Meredith calls it murder. There is an attraction between the two detectives, who circle each other, but both Meredith and Hodge are carrying an enormous amount of emotional baggage, and soon their pasts threaten to overwhelm their future. As the investigation gathers pace, tension mounts within the team, and someone takes an unhealthy interest in Patsy, threatening her life, and she no longer knows who to trust. 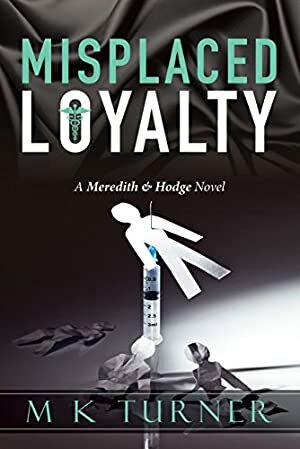 Misplaced Loyalty is the first book in the Meredith & Hodge series. If you like great story telling, surprising plot twists and compelling characters, then you are ready to meet Meredith & Hodge. Pick up your copy of Misplaced Loyalty today. Log In to track Marcia Turner on eReaderIQ. to be notified each time the price drops on any book by Marcia Turner. to stop tracking Marcia Turner. We started tracking this book on May 2, 2013. This book was £2.94 when we started tracking it. The price of this book has changed 19 times in the past 2,184 days. The current price of this book is £2.50 last checked 7 hours ago. The highest price to date was £3.42 last reached on January 1, 2015. This book has been £3.42 one time since we started tracking it. We last verified the price of this book about 7 hours ago. At that time, the price was £2.50. This price is subject to change. The price displayed on the Amazon.co.uk website at the time of purchase is the price you will pay for this book. Please confirm the price before making any purchases.